Very common plant, one of the most well know flower. Having generally white flowers, there are some colonies with pink flowers and more rarely, with red flowers. It's not the flowers, but rather the leaves that are aromatics. 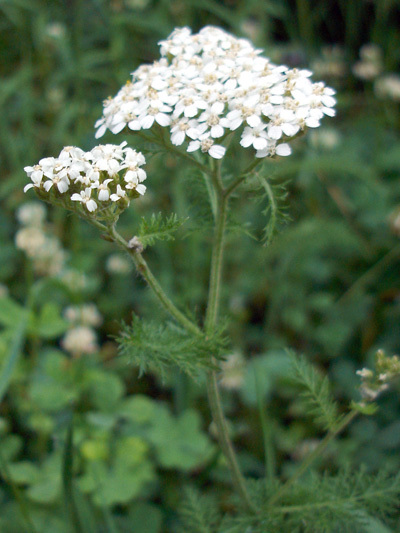 In Quebec, Common Yarrow is both, introduced and native plants.